Two Mi-8 helicopters of the Lithuanian Air Force have been helping to fight wildfires in Latvia and Sweden for the third week now, the Defense Ministry said on Wednesday. In Latvia, the Lithuanian military helicopter has since July 18 spent 60 hours in the air and dropped over 1.2 million liters of water from nearby lakes on the fire area. 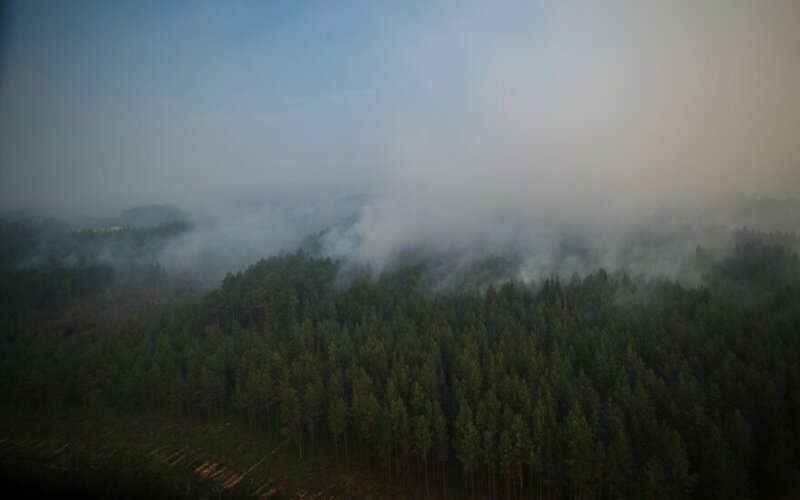 "All people living nearby take care of us and help as much as they can and nearby gas stations treat us to coffee and snacks," Captain Rokas Pauliukaitis, a Lithuanian Air Force pilot who takes part in the fire-fighting operation, was quoted as saying in the ministry's press release. A Latvian border guard helicopter has also been working in the area, looking for blazes and coordinating capabilities. Around 1,000 hectares of forest have burned down in the area. Lithuania's Mi-8 and Latvia's Mi-17 have been using 2,000-liter Bambi Bucket aerial water delivery systems to put out the blazes. The other Mi-8 helicopter of the Lithuanian Air Force was sent to Sweden on July 21 after the country asked for help. The Lithuanian helicopter has since then spent 21 hours in the air and dropped over 258,000 liters of water on the fire-hit areas. The Lithuanian Arce Force said that AS365N3+ Dauphin helicopters, which are also designed for search and rescue, evacuation and firefighting, remain on duty in Lithuania while the Mi-8s are helping the neighbors. Firefighters have managed to put four major fires in Lithuania under control.